The most recent tutorial by Paul Bayer and Hubert Mara presents a rapid method of hillshading for a geospatial dataset. 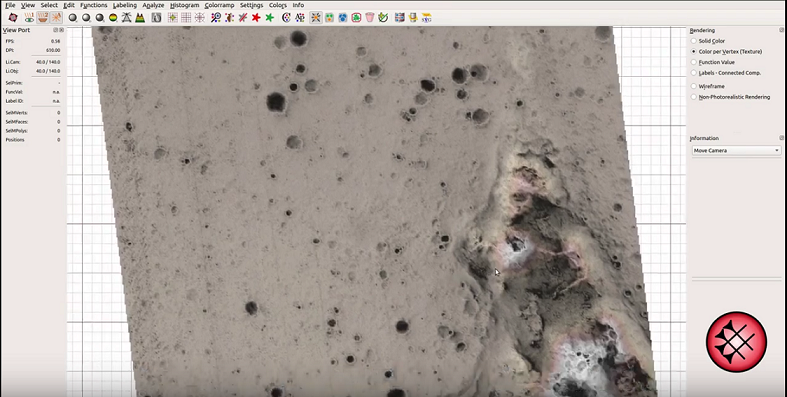 The video shows the powerful 3D spatial visualization methods implemented in the software in a geographic context using HiRISE terrain data from Mars. Want to try it yourself? Download pre-built Linux binaries and packages of GigaMesh together with example data. Follow latest news and updates on ResearchGate. GigaMesh is developed within the Forensic Computational Geometry Laboratory (FCGL) of Dr. Hubert Mara at the Interdisciplinary Center for Scientific Computing (IWR) at Heidelberg University.